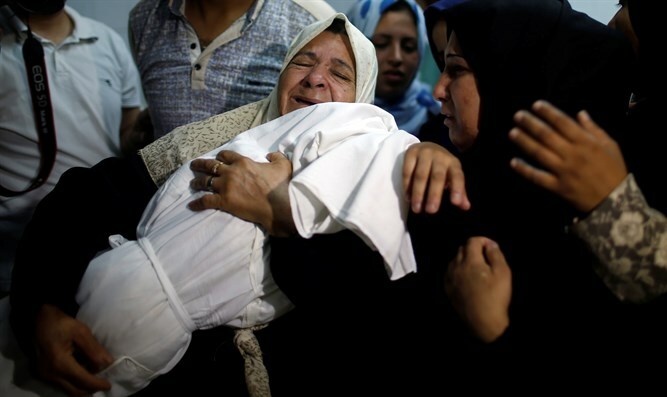 8-month-old baby dropped from list of rioters killed on Gaza border. An 8-month-old infant who died during clashes between Gaza rioters and Israeli troops has been removed from the list of those killed during the violence. The baby’s name, Layla al-Ghandour, was removed from the list last week, The Guardian reported. The decision about whether to include her later depends on the results of a pathology report. Despite initial claims that the baby had died from exposure to tear gas during attempts by Gaza rioters to infiltrate into Israel, the child may have in fact died from a preexisting condition.